If your blogging platform is WordPress and your webpage is redirecting to a page where you are getting a message as “Database upgrade required” even if your wordpress and database is up to date then read the instruction provided below to resolve the issue. 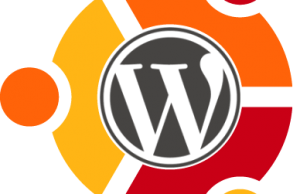 Problem Scenario: Webpage URL redirected to a WordPress page where the instruction appears as “Database upgrade required” or Installation Window for WordPress appears even the wordpress is already installed and up to date. The message appearing is that Â “your wordpress database is out-of-date, and must be upgraded before you can continue”. This is a common problem with WordPress and you don’t need to be afraid of data loss. If you will browse your wordpress database, you will find that all your posts, pages, plug-in, themes are available at their places and nothing go deleted. This is a problem related with a table named as “WP_Options” of WordPress database. 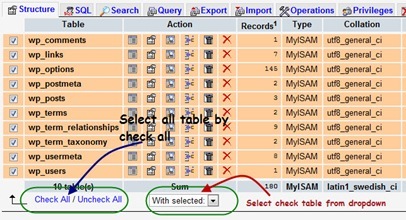 The wp_options table contains some general information related to the blog which appears in the setting tab of admin. It also contains some information about the plug-in installed for the blog. There are mainly two reasons for this issue in your WordPress blog. 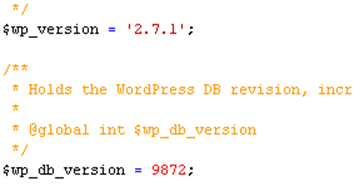 The Option Name db_version in WP_Options table is not equal to the field wp_db_version of version.php. 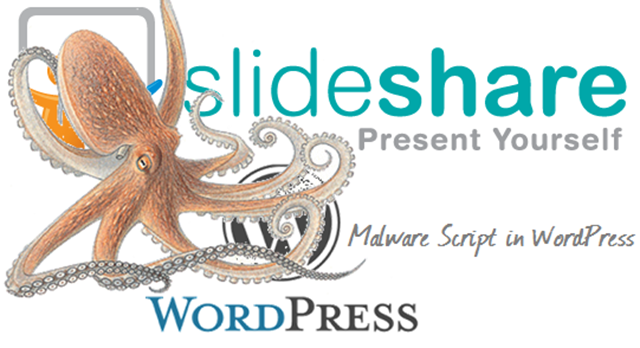 You can have a look at the Version.php located under wp-include folder of your wordpress blog. The Option Name “siteurl” in WP_Options table is not populated properly. Open the PHP file version.php which is located in wp-include folder of your wordpress blog, and check the field $wp_db_version. It should be equal to the db_version of WP_Options table. I hope that the problem related with your wordpress blog resolved by this time or you will have to restore the WP_Options table from previous backups. Please let us know your feedback thru comments section.